Sapphire mining in South East Asia heralds some of the oldest mining endeavors and some of the most legendary gemstones. Five countries in South East Asia sit at the heart of sapphire mining in the region, and produce some of the most beautiful gem-quality stones in the world. Although mining can often be fraught with environmental and political difficulties, each nation is experiencing a relative renaissance in sapphire production. A map of the island nation of Sri Lanka. 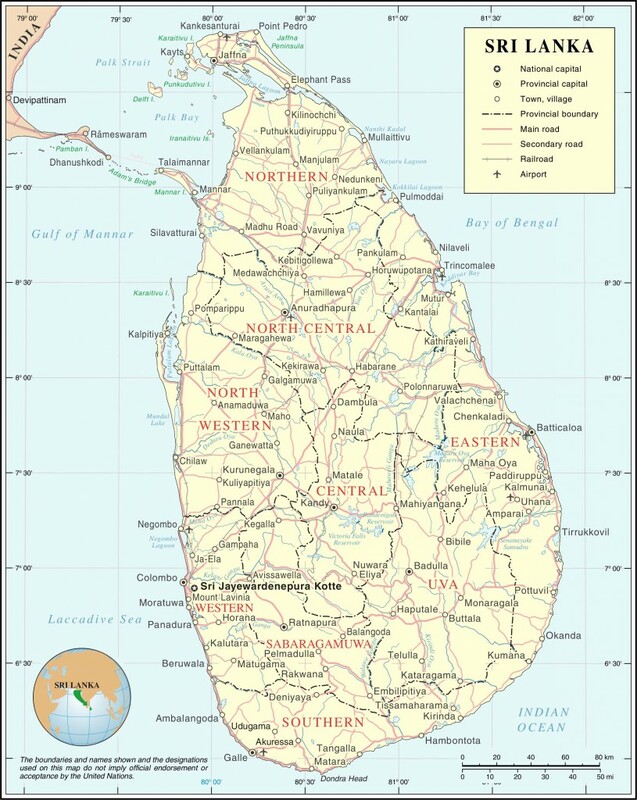 When Sri Lanka was colonized by the Portuguese in 1505, the name Ceilão was given to the region, later to become Zeylan under Dutch rule, finally becoming Ceylon when British colonizers arrived in 1798. The country gained its independence in 1948 through a huge decolonization movement, and officially adopted the name Sri Lanka in 1972. For the sake of consistency, the sapphire industry still refers to gemstones from Sri Lanka as having a Ceylon origin. Sri Lanka is often heralded as the island of exotic gems due to its extensive mining and trading history that produces fantastically colorful gems of excellent quality. The country continues to produce a huge amount of gemstones due to about 90 percent of its landmass being composed of the gem-bearing Pre-Cambrian rock. 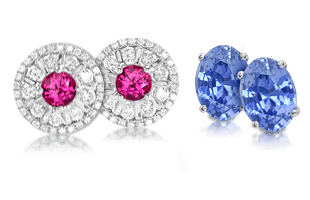 Sapphires are the most popular and renowned of the colored gemstones mined in Sri Lanka, so much so that in 2003, blue sapphire was named the national gemstone. Throughout its history, Ceylon sapphires have appeared more often than any other sapphire in the jewels of royalty and top collectors of the world. A day’s production of rough crystal at a mine in Sri Lanka. Many consider Sri Lankan sapphires to be among the best in the world. A range of colored sapphires can be found here, including the rare padparadschas. 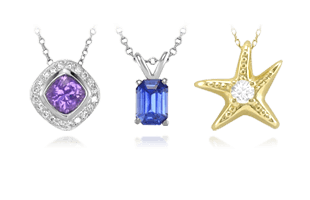 Approximately 90 percent of the world’s star sapphires also come from this island nation. 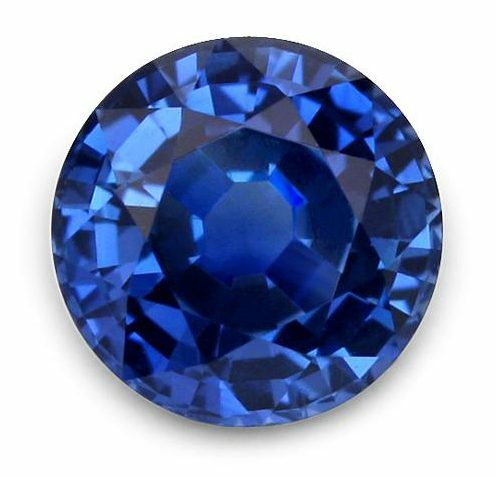 Sapphires from Sri Lanka are typically known for their high levels of clarity and radiance. 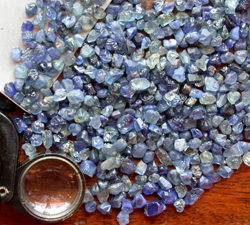 Sri Lanka’s sapphires come from extensive gravel deposits located in the southern two-thirds of the island. 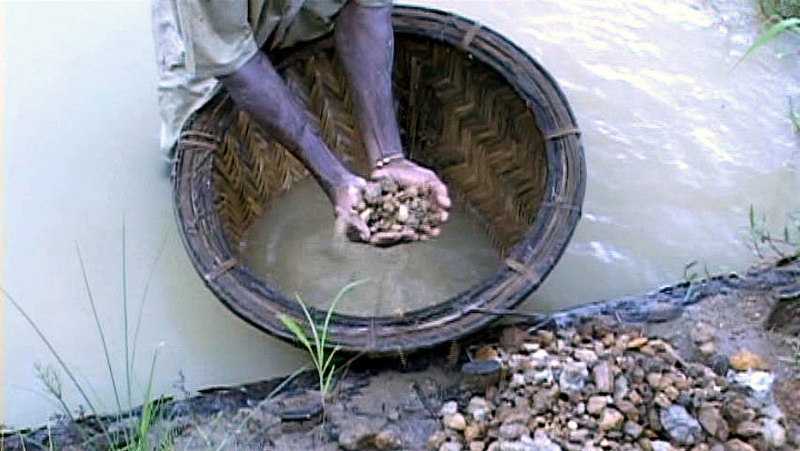 Mining methods are relatively primitive, and when gravel is extracted from current riverbeds, it is done with hand-made scrapers. On land, miners typically use simple non-mechanized equipment, including picks, shovels, spades, and baskets. When shafts are sunk to reach the gravel, they are reinforced with palm and bamboo scaffolding and pumped to keep the water level down. The Sri Lankan government has also initiated a few large-scale surface mining operations. At these locations, bulldozers scrape the overburden, but the gem gravel is still washed by hand. One of Michael’s trips to Sri Lanka, experiencing the sifting of stones by the stream bed. Of all the countries that I have extensively traveled to and traded in for sapphires, Sri Lanka is my favorite for many reasons. The history is rich and deep; there is a national pride associated with gems produced and also processed in this country. Generations working with the stones have produced an excellent understanding of sapphires in every possible way. The most experienced traders, cutters, and miners all come from Sri Lanka. The people of Sri Lanka are mostly Buddhist, very friendly, and hardworking. I have been to countless mining operations since the mid-1990s, and I can honestly say that I have never seen any serious environmental or dangerous working conditions in Sri Lanka, certainly not child labor or worker exploitation. In short, there are no blood sapphires in the industry or culture of this wonderful tropical nation. I have a great love and appreciation for Sri Lanka, and try to stay focused on the gemstones that come from this country. 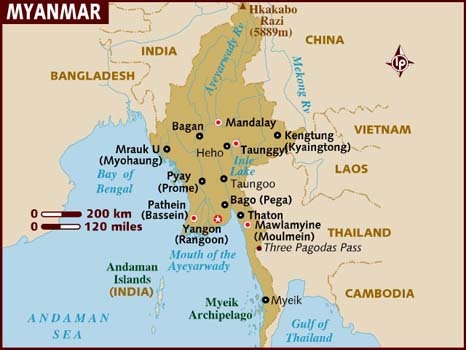 A present day map of the nation of Myanmar. Originally established as Myanmar, but then subject to colonization for many years during which the region was known as Burma, the country has a rich but complicated cultural and political history. The nation celebrated its independence in 1948, but struggled under Socialist rule. A military controlled government finally changed the name back to Myanmar in 1989 in an attempt to be more inclusive of all populations and present a healing path to the future. Although Myanmar is a well-known source of some of the world’s best rubies , few are aware that it also produces many fine sapphires. Myanmar has actually been producing sapphires for well over 1,000 years from several locations in the country. Myanmar’s sapphire mining is centered in the Mogôk Valley. Mining is a mix of mechanized and primitive techniques, and gems may be extracted from pits in alluvial fields, open trenches in hillsides, excavations of limestone caves, and tunnels in host rock. Normally many types of gem species are mixed in with this gem bearing gravel. Sapphires are found in larger quantities in only a few localities in the region, but they can be enormous – cut gems of over 100 carats have been known to be found. 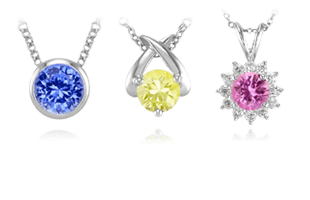 Colorless, purple, blue, violet, yellow, pink, and green sapphires are mined in the area. Star sapphires from Myanmar are known for having stars that are noticeably more clear and distinct than those from other sources. The fortunes of the Mogôk mines have risen and fallen over the centuries as management has shifted between private, imperial, and governmental oversight. Experts hope that the great “Valley of Gems” will continue to yield many more sapphire treasures in the future. As with Kashmir sapphires, Burmese sapphires are known for having an elevated luster and the highest saturation of blue color. Although highly prized, Myanmar produces sapphires in very small quantities, accounting for only 1 percent of the world’s gem quality sapphires. Land owners and miners work together so each can be equally compensated. Since the mid 1990s I have traveled to Burma (Myanmar) fairly often. Only up until recently has accessibility become much easier. Years ago, it was so difficult to get to Mogok and other mining areas within Burma. Even harder was getting money into the country. The sapphires and rubies are some of the best in the world, but supply is very low, and hence prices are very high. Certainly the ‘Burma’ origin of a sapphire or ruby is a premium that requires deep pockets for most buyers. Mining in Mogok is largely big scale machinery, it’s safe and organized, no child labor or exploitation from my onsite experiences. Yet, due to the large mechanical mining operations, few of the local citizens have an opportunity to make a good living as most of the stones go through government sales and an auction process. I will be honest and say I love the people from Burma more than the price of its gemstones. Most of our team in our New York office are originally from Burma – some of my best friends. The Burmese culture is very special and their history goes back to the very early beginnings of the gem trade thousands of years ago. I certainly understand the mystique behind the ‘Burmese’ gem trade, yet the premium for that is usually out of reach for most buyers. 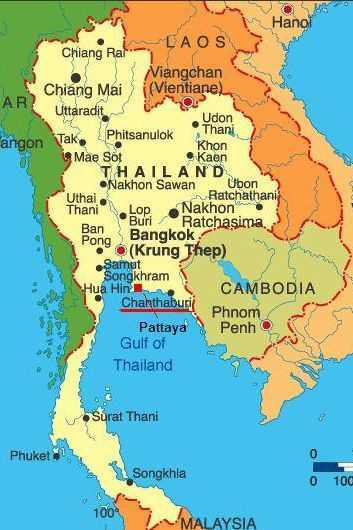 A map of present day Thailand. As early as the 15th century, visitors to Thailand forwarded glowing reports of the fabulous rubies and sapphires that could be found there home to loved ones. In the environs of Chanthaburi, a famous mining area in the southeastern corner of the country, sapphires were discovered as villagers planted their crops. The Chanthaburi area has produced some of the yellow sapphires with the prized golden-yellow “Mekong Whisky” color, desired by consumers. This area was heavily mined during the 19th and early 20th century, until another, more lucrative source was found at Kanchanaburi. The Kanchanaburi mines, almost due west of Bangkok, were discovered in 1918. The area became the world’s leading source of commercial rough during the 1980s and 1990s when a mining boom took place. The Kanchanaburi mines yield blue, yellow, pink, and star sapphires, and production has featured a revival to Thailand’s sapphire trade. Because Thai sapphires are often dark, they are frequently heat-treated. Bangkok and Chantaburi have become major sapphire cutting, treating, and marketing centers, and it is estimated that about 80 percent of the world’s sapphires pass through Thailand being traded and exported before reaching the consumer. Since 1919, when the Siam Mining Act was passed, gem extraction has been limited to Thai nationals. Mechanized mining was banned for several years because mining was destroying the topsoil, but this changed in 1987. Some mechanized mining is taking place in northern Thailand near Phrae, but only limited production has been reported. 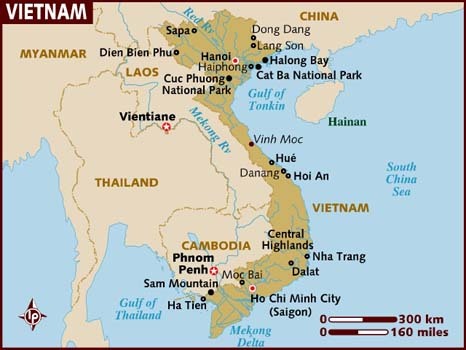 A map of Vietnam with its extent of coastline. Vietnam has a strong history of producing stunning gems, and was known for this during the French colonial period. 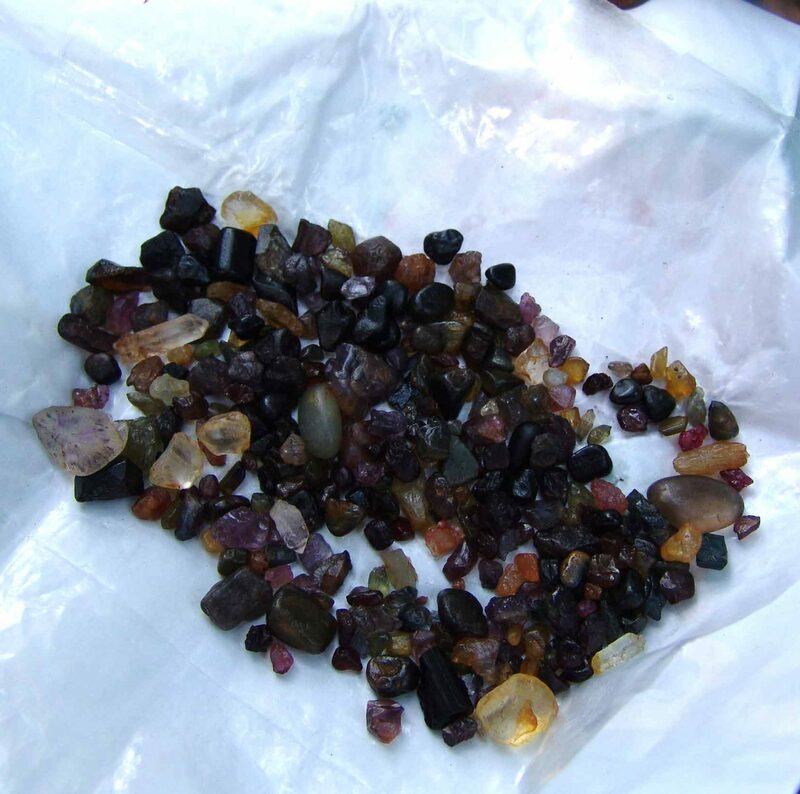 As with most of the countries that are producing colorful gemstones, colonization has played a factor in the spread of their popularity and large mining operations. In the late 1980s and 1990s, when deposits of fine ruby and sapphire were found in the Luc Yen region, mining began in earnest. Unfortunately, the new enthusiasm for gems carried unsavory practices such as illegal mining, smuggling, and corruption. Although the government tried to promote rules and regulations, poor management and politics frustrated attempts at mechanized mining. 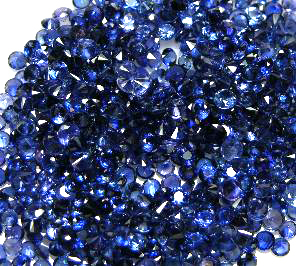 A group of Vietnamese blue sapphire faceted gemstones. Today, the country is recovering some of its momentum, but small-scale, independent operators do most of the mining. Nevertheless, the sapphire deposits of Vietnam are thought to hold considerable promise. Big companies have mined the most easily accessible materials, leaving gem-rich ground the local farmers and small groups are able to procure. The sapphires of Vietnam can be divided into two distinct types based on geography. In the northern part of the country, the deposits are contained in alluvial gravel created from marbleized limestone. In the deposits of Luc Yen and Quy Chau where the primary coloring agent is chromium, lovely shades of pink and purple sapphires are found. The deposits in the southern part of Vietnam are derived from alkali basalts. 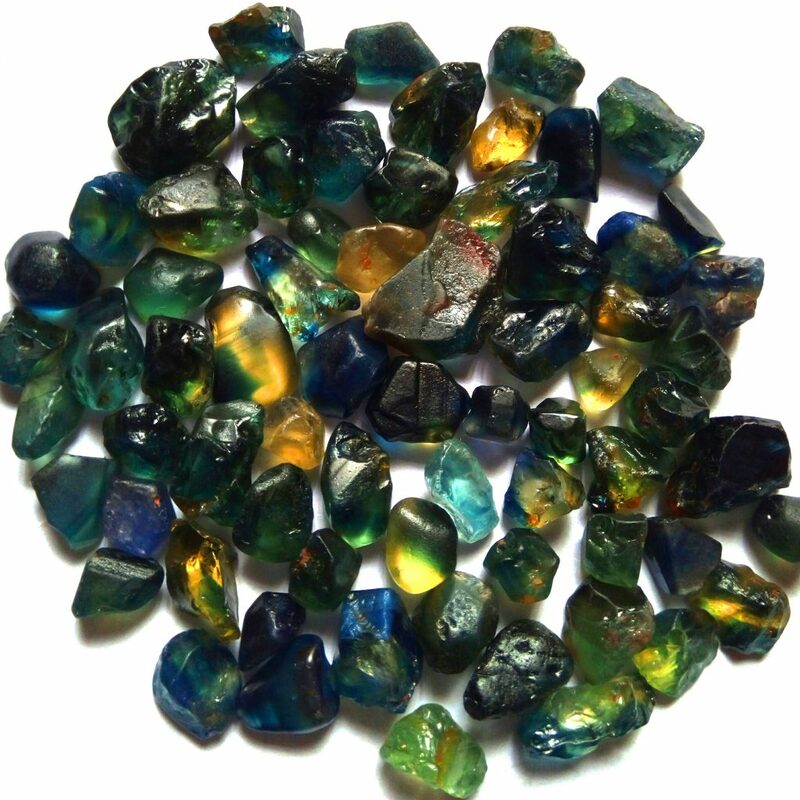 The yields typically include dark blue, yellow, and green sapphires. 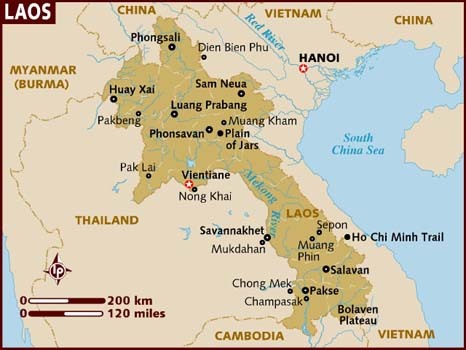 A map of the nation of Laos. Sapphires in Laos have come from great depths in the earth and are found in gem gravel created from eroded alkali basalts. In general, blue, green, and yellow sapphires come from Laos. Laos’ most famous sapphire mine, Ban Houay Xai, has been worked sporadically since the late 19th century, and was briefly closed in 2000 amidst reports of corruption. Small-scale mining continued in the region, as well as other locations around the country. In many instances, farmers dig huge holes in the middle of their rice paddies with the hope of finding a fortune in gemstones. Sapphire rough from the Ban Houay Xai mining region in Laos. In the last decade, the Ban Houay Xai mine has been reopened under foreign leadership and has been flourishing. With a focus on land compensation and renovation, as well as training and employment for locals, the mine has been very beneficial for the region. 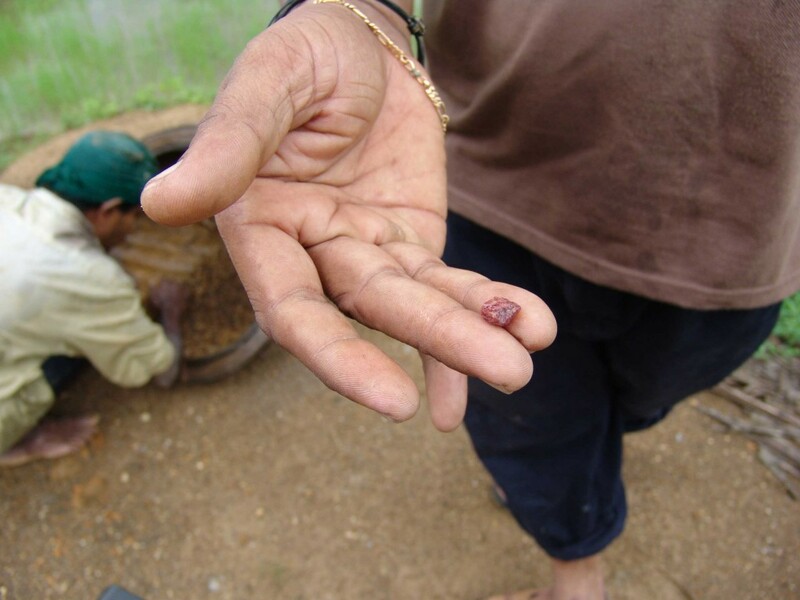 Today, Laos produces stones up to 2 carats in size, with the majority being smaller. 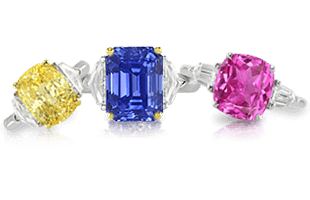 Colors range from a medium to deep blue with small amounts of yellow, green, and black star sapphires. Continuing around the world, next explore Sapphire Mines In Africa.